New transplanted grafts will eventually shed but what is the percentage? I know the new transplanted grafts will eventually shed but what is the percentage of grafts that will shed? Do they all shed around the same time or some do and some don’t? » or some do and some don’t? Usually 10-15% of the grafts remain and grow out with your natural hair, the rest shead between weeks 3 - 6. » » or some do and some don’t? » the rest shead between weeks 3 - 6. Pats is it better that the grafts shed or not shed? THanks pat. It’s better to know. I certainly would not say USUALLY as far as 10-15% of grafts remaining. I would say, from a lot of experience, that 95% of the grafts USUALLY DO shed. It’s nice to know what to expect. 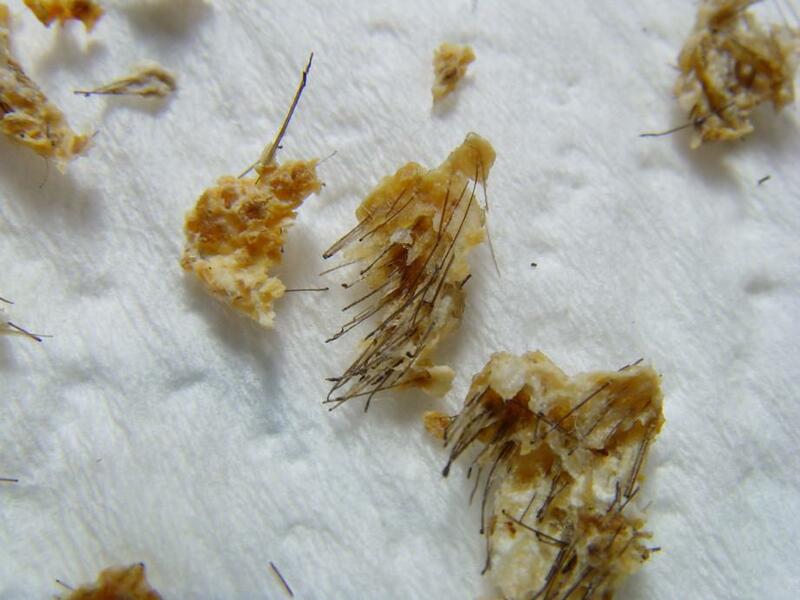 Here are some photos of what the grafts look like when they shed. I am sorry but that’s disgusting, must you post pictures like this on the board? oh mine, what the hell is the stuff attached to the follicle? » oh mine, what the hell is the stuff attached to the follicle? Yep, that’s what the grafts look like when they shed, not a pretty sight. 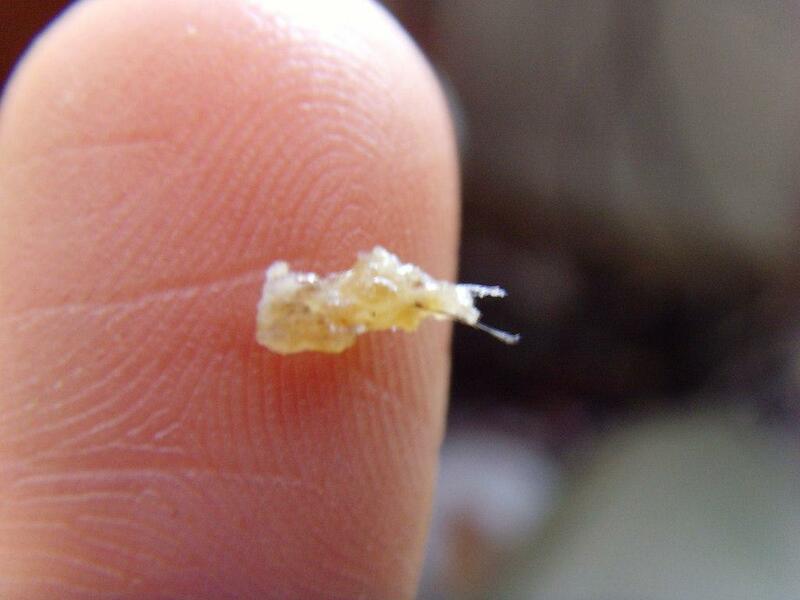 The stuff attached are the scabs and dead skin.